Item # 314233 Stash Points: 5,995 (?) This is the number of points you get in The Zumiez Stash for purchasing this item. Stash points are redeemable for exclusive rewards only available to Zumiez Stash members. To redeem your points check out the rewards catalog on thestash.zumiez.com. 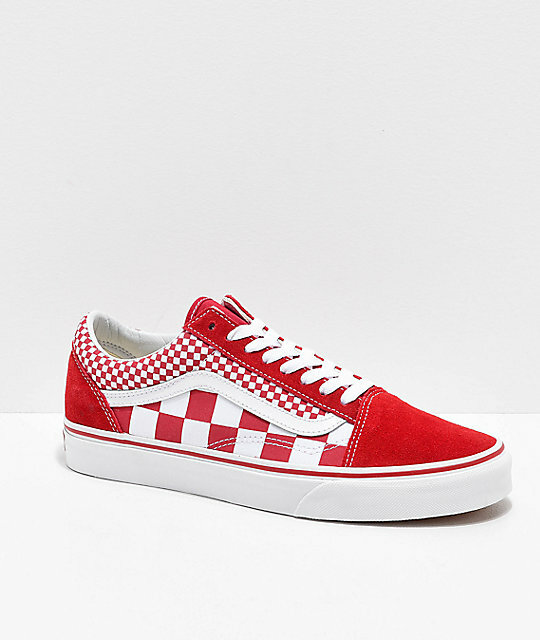 Spice up your kicks with the Old Skool Mix Checker chili pepper and white skate shoes from vans. 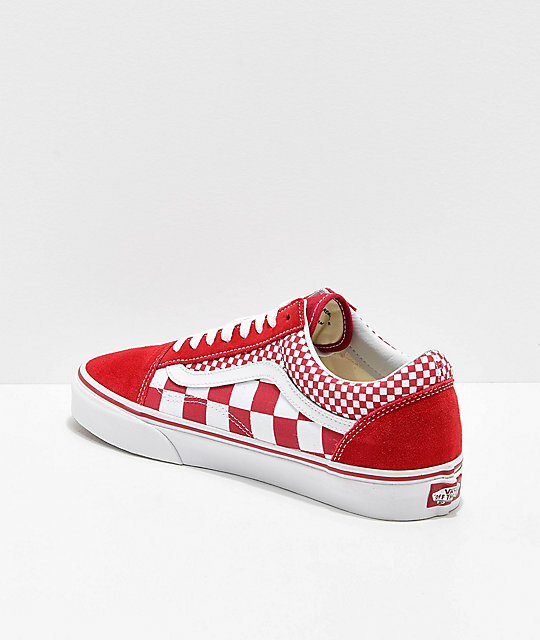 All the iconic details come together on these classic skate shoes including the white leather side stipe and a mixture of large and small red and white checkerboard print throughout the canvas and suede upper. 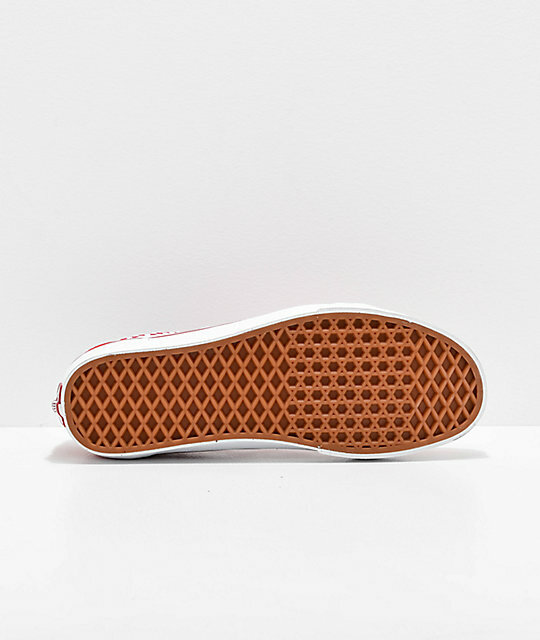 Designed for comfort and functionality, these Old Skools have a padded footbed and collars and Vans' signature waffle tread for grip and control. 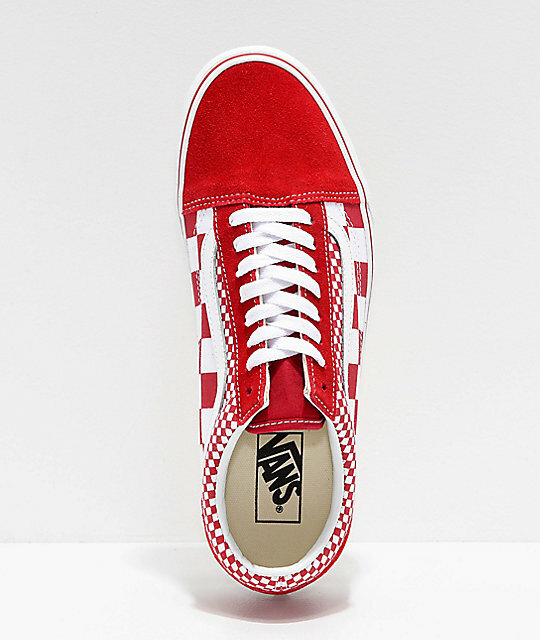 Old Skool Chili Pepper & White Skate Shoes from Vans.